Awareness of indigenous rights has grown in recent years, and the Mexican government acknowledges that efforts to improve the living situation of indigenous people must be intensified. But severe poverty and social exclusion continue to affect thousands of families in Chiapas. Comitán is located in southern Mexico in the state of Chiapas and has a population of over 140,000. The state of Chiapas, whose population consists to a large part of rural indigenous minorities, has historically been one of the poorest in Mexico, with much of the land in the hands of a few large estate owners. The economy here is based on tourism, agriculture and increasingly also mining activities. However, these have failed to bring improvements to the standard of living of the majority of the population. The high rates of poverty and social exclusion in Chiapas led to an armed popular uprising by the Zapatista Army of National Liberation which began in 1994. Their – now generally non-violent – struggle aims to improve living conditions for the indigenous population of the country, especially as regards land rights and control of resources. They demand that natural resources should benefit the people of Chiapas more directly. Illiteracy amongst the indigenous population, at 25.5 per cent, is also higher than the national average of 9.2 per cent. Many indigenous communities are located in relative isolation, without so much as paved roads that might allow them access to educational facilities. Indigenous women and girls are particularly vulnerable: historically, they have faced great social and economic marginalisation, and much awareness-raising of their rights remains to be done. 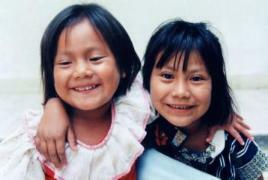 Today, many indigenous women are still monolingual, speaking only an indigenous language. This makes access to education even more difficult, as schooling takes place in Spanish. Many have their first child at a very young age and go on to have large families and, more often than not, they do not have access to health care. The risk of dying during childbirth or due to related complications is therefore very high. SOS Children’s Villages began its work in Comitán in 1994 when an SOS Emergency Relief Programme was organized here because of the violent struggle between indigenous insurgents and the Mexican army, which was at its height at the time. Some years later, we started providing more permanent support. Strengthen families: Our social centres here offer a family strengthening programme, which aims to alleviate hardship in the community in a holistic and sustainable manner. We provide childminding and day-care programmes, which enable working parents or single mothers to leave their children in safe hands while they are out making a living. In addition, the social centres host information events and workshops for adults and young people from the community and the children’s village. Counselling and psychological support are also available, especially for children who have had traumatic experiences. Care in SOS families: For children from the region who are no longer able to live with their parents, SOS families can provide a loving home. In each family, they live with their brothers and sisters and are affectionately cared for by their SOS mother. 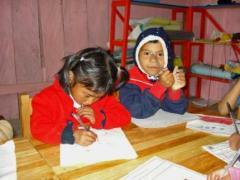 The children attend local nurseries and schools and are therefore very much integrated into the community. Support for young people: When young people feel ready to move out of the family home in order to pursue further education or vocational training, the SOS Youth Programme makes shared accommodation available. The young adults live together and are supported by qualified counsellors as they learn to shoulder responsibility, plan their future and prepare for independent adult life.